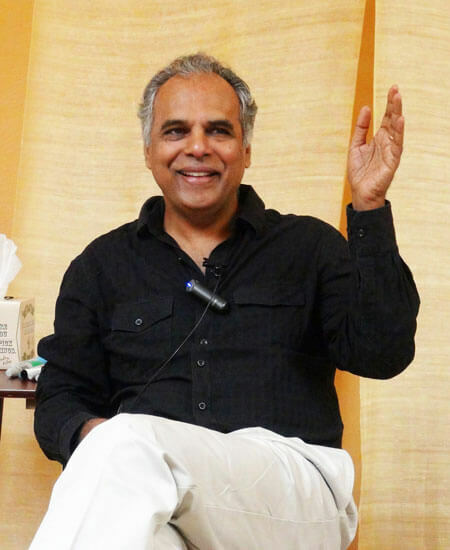 Integral Somatic Psychology was developed by Raja Selvam, PhD. It is a comprehensive approach to embodiment based on Western as well as Eastern psychology. It is currently taught in over a dozen countries in North America, Europe, and Asia. Integral Somatic Psychology is not another approach to doing therapy. Nor is it a spiritual path. It is a complementary modality developed to increase the effectiveness of psychological work in any therapeutic or spiritual approach. Integral Somatic Psychology Professional Training is a master training for experienced clinicians to increase clinical effectiveness by fully integrating body, energy, and consciousness into any psychological process. Visit the ISP Professional Training page for detailed information. CE credits are pending for each training module. evidence supporting its effectiveness in therapy. What theoretical and empirical evidence support the claim that the four aspects of embodiment work in Integral Somatic Psychology can improve outcomes to a significant degree? Research presented by Candace Pert and Antonio Damasio establishes that all psychological experiences can potentially involve the whole organism. This body of evidence suggests the clinical strategy of expanding the body to expand the experience or expanding the body in one area to support that experience in another area. The expansion makes it possible to have more of the experience such as power or grief to work with, make sense of, or to act with. The expansion strategy, by spreading the experience more evenly throughout the body, ensures that an experience such as grief does not stress or dysregulate one or few areas of the body by concentrating in them and making the experience more intolerable. Scientific knowledge of the physiology of the human body informs us that if the expansion of the body is carried out in such a way that disruptions to nervous system and blood flows are minimized as much as possible, a) the experience would be more tolerable, b) there would be less innate physiological resistance in the brain and the body to generating and staying with the experience, and c) there would be less likelihood of the formation of psychosomatic (psychophysiological) symptoms. The need to build the capacity to tolerate opposites in experience for long-term psychological health and resilience is recognized in psychoanalysis as the need to help clients build more affect tolerance (Robert Stolorow). When we are able to tolerate an experience, we can get to a place that it feels no longer bigger than us and that we can survive it. Such mastery usually precedes a sense of completion or resolution of the experience. The capacity to tolerate opposites is emphasized as an essential quality for individuation in Jungian psychology and for transformation in alchemy. The capacity to tolerate opposites is also described as the basic qualification for spiritual growth in many traditions such as Buddhism and Vedanta. The more an individual understands the importance of experiencing and tolerating opposites in experience for personal growth, the less the psychological resistance there would be, and the more able and willing the person would be to work with innate resistance and any residual psychological resistance. The less the innate physiological resistance and learned psychological resistance to an experience, the more the psychological capacity to tolerate it. The more the psychological capacity to tolerate an experience, the easier it would be to expand the body to expand the experience or to expand the body in one area to support it in another area; and the less the stress or dysregulation associated with the experience because it would not be concentrated and burdening only some areas of the body. Greater the capacity to tolerate an experience, more of it is likely to be available for a longer period to make sense of or to act with. The ability to make meaning involves different types of cognition: Representing experiences through language or other symbols to know what they are, to operate on them through thinking or other symbolic processes or to communicate them to others; associating the experiences to contexts, past and present, to take action in the appropriate context and to avoid acting out in an inappropriate context because of transference. That such cognitive work persists as an important component if not the most important component of almost all psychotherapy approaches speaks to its therapeutic effectiveness. The embodiment research by Paula Niedenthal and others at the University of Wisconsin, when combined with research presented by Candace Pert and Antonio Damasio that an experience such as emotion is generated throughout the organism, establishes the cognitive benefits of expanding an experience from the brain to not just the facial area but to the rest of the body and tolerating it as long as possible. Conversely, knowing what an experience is, what context it belongs to, and how to operate on it cognitively can more often than not be very helpful in reducing resistance to the experience making it easier to expand it and tolerate it, the first and second aspects of embodiment; and in cognitively formulating behavioral strategies to deal with the experience, the fourth aspect of embodiment. Behavioral work has under its umbrella the functions of identifying relevant behavioral alternatives in a situation, analyzing their advantages and disadvantages, choosing the best course of action to follow in that situation, gathering external support for it, and then implementing the chosen alternative as an action or an expression. The extensive research presented by Antonio Damasio in his book Descarte’s Error shows that the more the availability of an experience such as emotion, the better a person’s ability not only in generating relevant behavioral alternatives for the situation but also in choosing which course of action to follow.The more clarity there is about what the experience is and what context it has to do with, the easier it would be to formulate appropriate behavioral strategies, analyze them for strengths and weaknesses, and to choose which course of action to follow. The more expanded and tolerable an experience such as power is, the more available it would be. The more available it is, the more motive force there would be for expressing it or acting on it. Conversely, consistently inhibiting appropriate expression of an experience such as power can, through suppression or repression of it, increase all kinds of resistance to it, and have an adverse effect on the person’s ability to generate, expand, stay with, or tolerate the experience; and make sense of the experience because there would not be much of it to examine.When one expresses oneself verbally or non-verbally, it often leads to an increase in the external support for it. And external support can help an individual to embody an experience in all four ways. Expressing an experience expands not only those areas of the body involved in the expression. It facilitates the expansion of the experience throughout the organism. When we want to express something, there is an intent is to express it verbally and non-verbally. 90% to 95% of an expression is non-verbal. Therefore, even verbal expression can lead to expansion throughout the body, something critics of talk therapies overlook. What evidence is there for the effectiveness of Integral Somatic Psychology? The work of Paula Niedenthal and others at the University of Wisconsin at Madison in the United States provides ground breaking research evidence on the effectiveness of embodying emotions on cognition. The extensive research presented by Antonio Damasio in his book Descarte’s Error in combination with the research presented in his book Looking for Spinoza: Joy, sorrow, and the feeling brain establishes the effectiveness of embodiment on emotions on behavior. There are a large number of controlled studies that establish the effectiveness of even simple energy psychology models such TFT and EFT that employ tapping along the meridians. There are several scientists who have made theoretical sense of the healing effects of energy psychologies in terms of findings in quantum physics, quantum biophysics, and epigenetics. There are hundreds of scientific studies on the effectiveness of working with awareness through mindfulness approaches. Larry Dossey in his book Healing Words presents many research studies on the effectiveness of prayer and spirituality as healing modalities. Integral Somatic Psychology, because it stands on the shoulders of many approaches that work with different levels the psyche, is supported by the research that establishes the effectiveness of each of these approaches. Integral Somatic Psychology, in an abbreviated version limited the physical body level of the psyche, has been found to be effective in treating symptoms of trauma among survivors of the 2004 Asian Tsunami in India (published in Traumatology, September 2008) and in treating symptoms of war, violence, loss, and displacement in Sri Lanka after the civil war ended there in 2009. The possibility of embodied integration of many levels of the psyche and the tremendous synergy such integration offers for improving outcomes has been a driving force in the spread of Integral Somatic Psychology to different parts of the globe. It is now taught in the United States, Russia, India, Sri Lanka, Germany, France, Italy, Switzerland, Austria, the Netherlands, and Denmark; and is scheduled in the United Kingdom, Belgium, Canada, Israel, Brazil, Hong Kong, Mainland China, and Australia in 2017 or 2018. Those who already know how to work well with the physical body will learn more about how to work more effectively with different psychological experiences such as emotions, cognitions, and behavior through the physical body, informed by extensive knowledge on the role of the physical body in generating and defending against different psychological experiences from over a century of scientific research in universities and clinical research in body psychotherapy traditions. And whether or not they already work with levels of the psyche other than the physical body, they can improve their outcomes through greater integration of other levels of the psyche with the physical body, informed by the knowledge from the East and the West of how different levels of the psyche interact with each other and how each level of our psyche contributes to all of our physiological, psychological, and spiritual experiences. Those who work primarily with levels of the psyche other than the physical body will be able to improve their outcomes through learning how to embody the energies from other levels of the psyche in the physical body. They can also learn how to work more effectively with different psychological experiences such as emotions, cognitions, and behaviors in the physical body, informed by extensive knowledge on the role of the physical body in generating and defending against different psychological experiences from over a century of scientific research in universities and clinical research in body psychotherapy traditions, something they need to know how to do in order to effectively embody the energies of other levels of the psyche in the physical body. What are the advantages of bringing more levels of the psyche into psychology? The more one takes into account all the influences that an individual might be subject to in a challenging situation, the more comprehensive and effective a treatment could be. Therapeutic modalities that deal with different levels of the psyche, the individual physical and energy bodies, the dynamic collective physical and energy bodies, and the absolute collective body of pure awareness, all continue to exist attesting to their effectiveness in helping their clients. They all report good outcomes whether or not their claims are evidence based through scientific research. Therefore, in the spirit of science, it is worth exploring the integration of more levels of the psyche into one’s practice to let outcomes of such integrative efforts speak for themselves. Study with Raja Selvam, PhD. 1. Selvam, R. (2004). Trauma, Body, Energy, and Spirituality. Positive Health, May, pp. 15-18. 2. Selvam, R. (2005). Treating tsunami survivors for trauma: The effectiveness of a short-term psycho-physiological trauma treatment approach among South Asian tsunami survivors. Journal of Holistic Healthcare, Vol. 2, Issue 4, November. 3. Parker, C., Doctor, R. M., and Selvam, R. (2008). Somatic Therapy Treatment Effects with Tsunami Survivors. Traumatology, Vol. 14, No. 3, September. 4. Selvam, R. (2008). Advaita Vedanta and Jungian Psychology: Explorations Towards Further Reconciliation in East-West Dialogues on the Psyche (Pacifica Graduate Institute, Carpinteria, California). Unpublished doctoral dissertation. 6. Selvam, R. (2013). Jung and Consciousness. Spring, Vol. 90, Fall 2013, pp. 155-177.